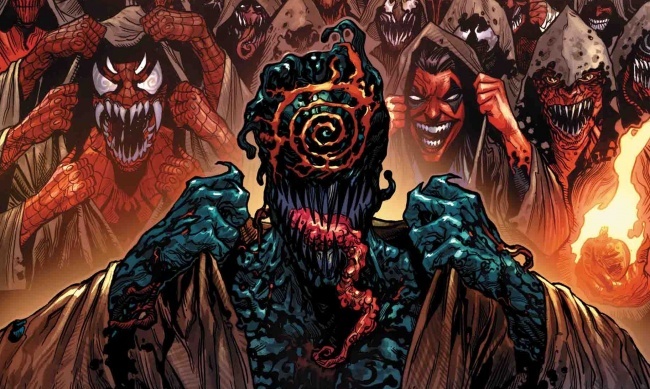 Carnage and his devoted acolytes will wreak mayhem in a new comic from writer Frank Tieri (Black Knight) and artist Danilo S. Beyruth (Man Without Fear). Web of Venom: Cult of Carnage #1, which sports a cover by Josh Cassara, will be on sale in April. 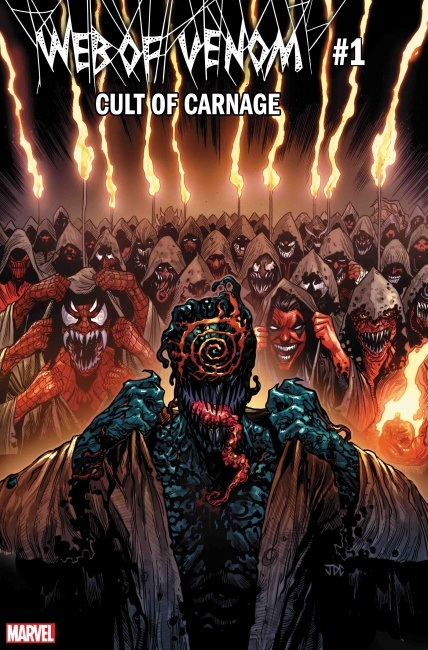 Cult of Carnage picks up after the events of Web of Venom: Carnage Born #1, which saw the rebirth of violent sadist and host of the Carnage symbiote Cletus Kasady. Carnage will emerge from the shadows in Cult of Carnage, adding another piece to the puzzle that Donny Cates is building in the regular Venom series. Carnage Born #1, which was also drawn by Beyruth, was one of the top selling single issues in 2018, earning a top-50 spot in the 1,000 best-selling comics of the year (see “Top 1000 Comics--2018”).